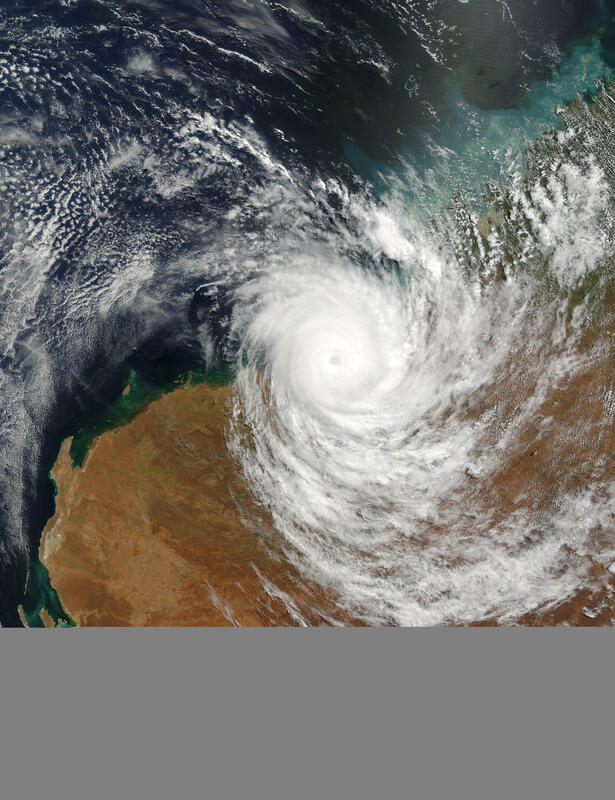 Tropical Cyclone Fay finally came ashore over Western Australia’s Pilbara coast on March 27, 2004. At that time, the storm carried winds that gusted up to 200 kilometers per hour (124 miles per hour). 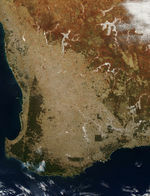 Fortunately, the storm made landfall in a sparsely populated region, and relatively little damage has been reported. 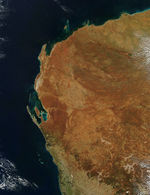 The Moderate Resolution Imaging Spectroradiometer (MODIS) on the Terra satellite captured this image of the storm over the Western Australian coast on March 27, 2004.